Buying an engagement ring is a big step and you want to be sure that you are making the right choice. Apart from Diamond Quality, there is an array of Sizes, Shapes and Designs that need to be taken into consideration. 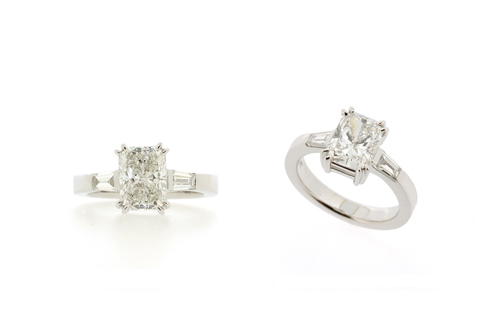 Classic Round Diamond or the increasingly popular Princess Cut Diamond? First, set a budget for yourself, and do some research on what you can find within that range. Tiffany & Co introduced the idea of using your 3 months salary as a gauge (in their advertising campaign). However, most important is that you can afford it and that your budget matches what you want. If you want to be sure of a positive response, make sure that you are happy with the ring that you are about to present. You will need to be confident with your choice – how else can you expect her to be happy wearing it? 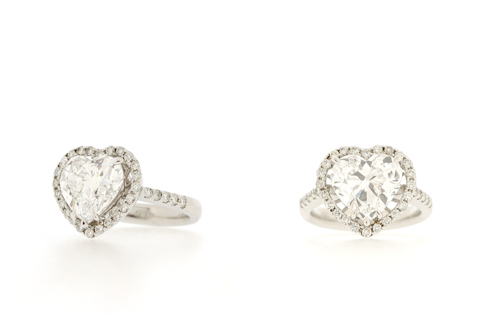 Radiant Diamond with Tapered Diamonds on the side. 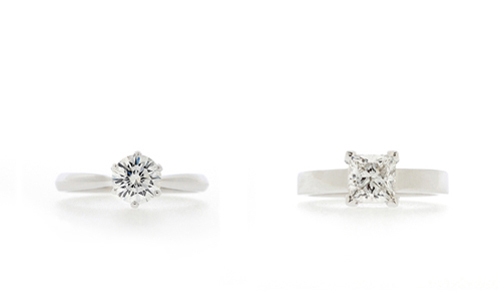 If you want to explore your options beyond the Round Brilliant Diamond, there are plenty of choices! A Princess Cut Diamond, in a plain setting with a broader flat band will suit a modern lady well. And being a modified Brilliant Cut, it will sparkle just as well. A plain setting for a square Diamond shows clearly that she is engaged, but also that she has style and knows what she wants. An Emerald Cut or Cushion Cut Diamond in a vintage setting will impress the sophisticated woman. She is one-of-a-kind and appreciates the finer things in life. Whichever Diamond and setting you choose for the ring, let it be a symbol of your commitment. 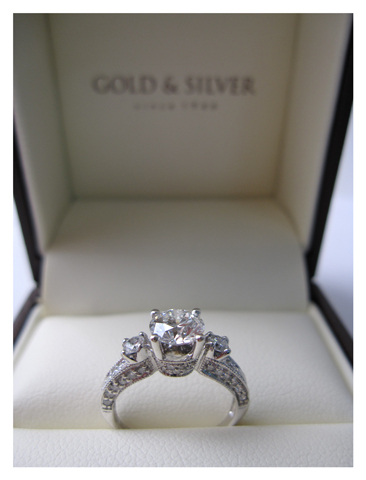 A custom designed ring with your own personal touch is sure to be unforgettable and treasured forever…. What the Engagement Ring says about you – from Wedding Guide Asia. If I had a dime for each time I came to blog.morethandiamonds.com.sg! Great read! Engagement rings are the most alluring and delighting gift for which every woman worldwide is dreaming for long time. Being gifted the most attractive diamond engagement rings on the day of engagement is very pleasing feeling so always present unique and glittering rings to beloved to make her happy. What a insightful article. ty.